Hey, Dominic (or should I be calling you PT? ); it’s Matt Maynard from WeLoveBigBrother.com. What a bummer that you’re already sitting here! Reflecting on your game, was your fatal mistake working with Daniele? No, not at all. My fatal mistake was not working with the vets sooner and not trusting that they really wanted to play with me instead of thinking they wanted to turn my side against me. Dani, in my opinion, is the best player in the house and made one mistake that went terribly wrong and backfired on me. Be honest, what are your real feelings for Daniele? Was there ever any real chemistry? There is definitely chemistry between me and Dani. But inside the house, we were not looking for anything more than friendship and a teammate. Talk about the power group of four veterans: Rachel, Brendon, Jeff and Jordan. What are your thoughts on each of the four? Rachel is a hell of a competitor. And is a very sweet person and truly means well. Brendon is also an excellent competitor and a really cool guy to hang out with. But he thinks he has way more control over people than he actually does and is gaining enemies very quickly in the house b/c of his overbearing attitude. Jeff is a good competitor and genuinely a cool guy. I actually get along with him and would hang out with him outside of the house, but in the Big Brother game, he’s a big bully and needs to pick on someone his own size. Jordan is a sweet heart. She is kind hearted, sincere, honest, and could never hurt a fly. The four of them have yet to play against anyone though and don’t deserve all of the victories they have accomplished so far. When we talked before you moved into the house, you were very nervous about what to expect. How was the experience different than what you envisioned? It was way more fun than I had envisioned, and the stress levels weren’t as high. And I personally got very comfortable in the house and with the houseguests much sooner than I had expected. Quick game: I call it NAME THAT HOUSEGUEST. I’ll give you a description and you give me the name of the houseguest you think best matches it. 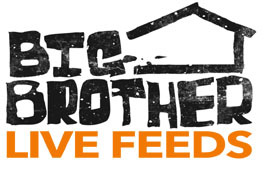 If Big Brother gave you a second chance to go back into the house next week, what would be your strategy? It depends on who is in the house. If Dani is in the house, I’d run right back to her. We’d pair up, take Lawon and Adam and make a deal with the vets to cut the floaters and go head to head. We’d take off the gloves and throw down! Who are you hoping to see walk out of the front door next week? Porsche! Without a doubt, Porsche. Before I left, I went to every single person to tell them I want her out. She doesn’t deserve to be there, she hasn’t played the game. When your only strategy is to cook for everyone, I don’t think you deserve to be on the show.